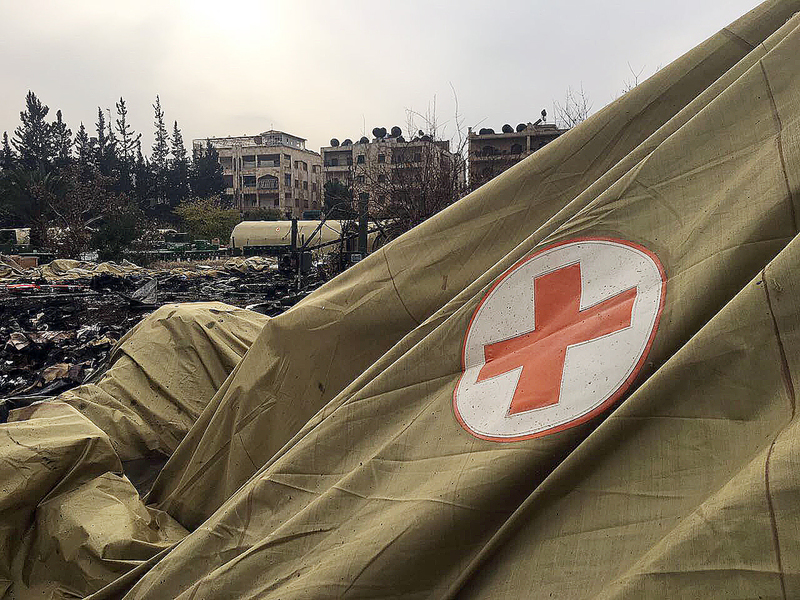 Russian Defense Ministry's mobile hospital in Aleppo after the bombing. The attack on the Russian Defense Ministry’s mobile hospital in Aleppo was planned, Russian Foreign Minister Sergey Lavrov said on Dec. 6. "We are confident that this attack was planned," the minister said. "It was planned by those who are trying to retain their positions in Aleppo under the guise of their foreign patrons." The minister stressed that the Russian military will help the Syrian army take additional security measures to protect hospitals from terrorists. "Of course, after yesterday’s crime our servicemen will help the Syrian army to take extra security measures to protect hospitals from bandits," Lavrov said. The Russian Defense Ministry earlier reported that two Russian medical workers had been killed and another one wounded when militants shelled the Russian mobile hospital in Aleppo. According to the ministry, the facility came under artillery fire when the examination of local patients was in progress.